The Nassau County Lions Bantam "A" ice hockey team from Cantiague Park, Hicksville won the New York State Championship on Sunday in Albany, New York. 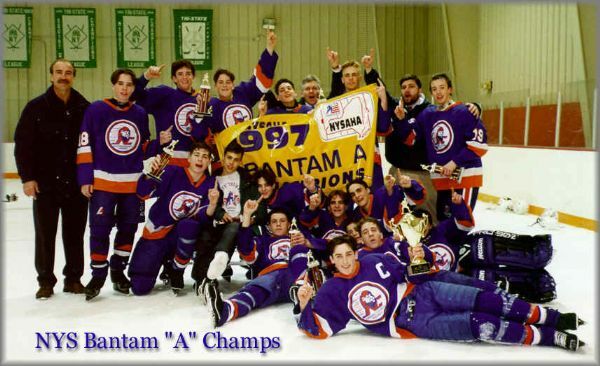 Bantam "A", aged 14 and 15 played at the highest level of hockey in the USA. Led by head coach Mark LaMarr and assistant coaches Ron Beale and Bob Nystrom of the New York Islanders, the Lions beat Syracuse in the finals 4-2 after beating Rochester in the semi-final round. This is the second consecutive year that a Long Island team has won the New York Bantam "A" State Championship representing a significant shift in the balance of power in the state from the formerly dominant up-state teams.